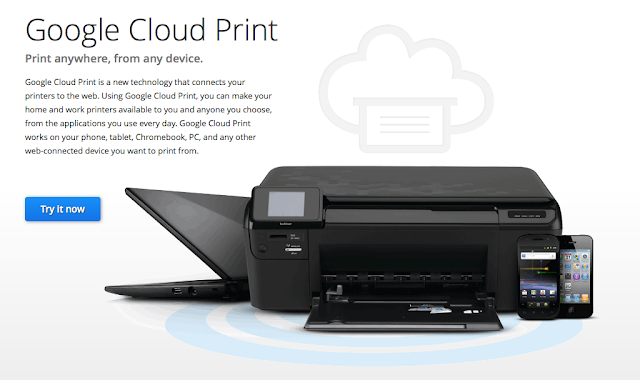 Want to print from any device to your printer? Try Google's Cloud Print. For those that are interested in printing directly from your device (phone, tablet, PC, Mac, etc.) 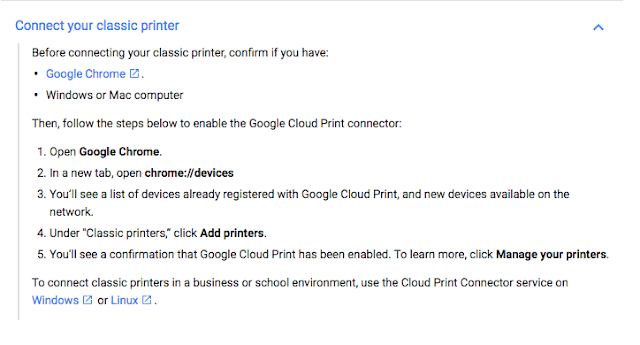 try taking a look at Google's Cloud Print. Simply follow the directions - or read this link. It was stated that most newer printers will work. The one I have at home (Lexmark) is a little over 4 years old and works perfectly (even printing from my iPhone). Please know that there are certain items (not Google related) that may give you some issues here and there with printing - especially on your phone. Below you will see a 2 minute 30 second video from Google. Below are a few screenshots, a GIF (same 20 second YouTube video with audio), and at the bottom a quick 36 second video showing how to print using your iPhone once it is set-up. Depending on your printer, you may want to select Add Classic Printer and then follow the directions from there.